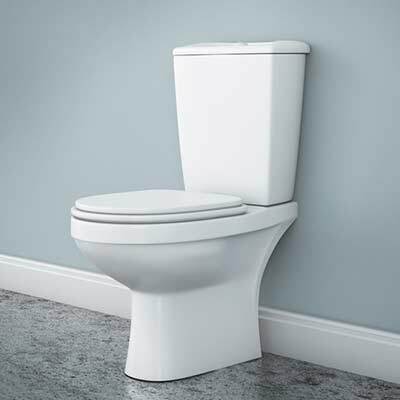 Did You Know That a Toilet is the Most Used Piece of Plumbing in Your Home? When your toilet starts to show signs of problems, fixing it may not always be the best option. Nothing lasts forever. Updating older or out-of-date bathroom fixtures like your toilet can increase the value of your home and help avoid damaging leaks, floods or breakdowns in the future. In addition, many modern toilets are more efficient and use only a fraction of the water than older models. At DJ Plumbing & Heating we offer quality driven, affordable, plumbing services, including toilet repair and replacement. Give us a call today and speak with one of our service experts about the Low Flow or Dual Flush toilet options available on the market. We serve areas around the Lower Mainland such as Vancouver, Burnaby, Tri-Cities, Coquitlam, Port Coquitlam, Port Moody, Pitt Meadows, New Westminster, North Vancouver and West Vancouver. How Does My Toilet Work? We Are All Accustomed to Flushing That Handle, But Do You Know What Happens Next? The basic principle of how a toilet functions is actually quite simple. When you flush the toilet it allows a quantity of water from the back of the tank to rush into the bowl creating a siphon effect, taking wastewater with it. When we flush the toilet a number of parts need to work correctly in order for our toilets to function properly. After we flush the chain that is connected to the handle lifts the flapper valve or stopper. This causes water in the tank to flow through the flush valve opening into the toilet bowl. The water stored in the back of the tank forces the waste water in the toilet bowl through the trap and into the drain system and out to your homes sewer line. Once the tank is empty, the flapper valve closes and the fill valve refills the tank. When the tank is full, the float ball shuts off the fill valve ready to be used again. Water Accumulating on the Floor Surrounding Your Toilet Could Happen for a Number of Reasons. Water is leaking at the base, where it connects to the toilet tank: This problem only applies to only two-piece toilets, (most toilets are of the two-piece design). The two pieces consist of a toilet bowl, which is the base unit that sits on the floor and a toilet tank, which stores water that is used to flush the toilet. This problem could be caused by a faultily gasket or a loose bolt connecting the two pieces together. 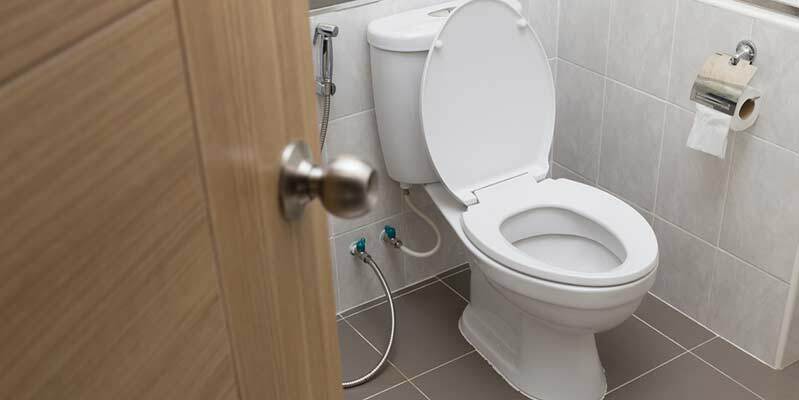 The water supply line is leaking: A supply line that runs from the shut-off valve and toilet provides the water that is supplied to your toilet may have sprung a leak. Water is leaking from under the bottom of the toilet. A toilet that has a leak at its base will only be noticeable when you flush the toilet. That means that the toilet is leaking, well, wastewater. Condensation from the outside of the tank: On older models of toilets, the tanks were not designed to address this issue and are not insulated. When the temperature goes up in the summer, cold water in your tank condenses on the side of your tank and drips down to the floor surrounding your toilet. The toilet runs constantly: Even after the tank has filled with water it continues to run and will not shut off. The toilet tank will not refill: this means that when you flush the toilet water is flushed away but the tank does not refill. A toilet that won’t flush: This problem is an obvious one. A clogged toilet commonly causes this issue. (Note: If your toilet is clogged, do not flush it again. This could cause the toilet to overflow making the kind of mess no one wants to deal with). Water makes a continuous trickling sound: Most noticeable at night when things are quiet. The water will run on its cycle continuously. Toilet tank refills unexpectedly: This problem again, may only be noticeable when it’s quiet. DJ Plumbing & Heating Is the Company You Want to Call When There is a Problem With Your Plumbing. 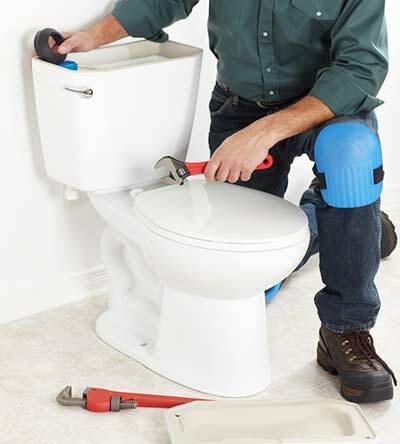 We understand that repairing or replacing a toilet may not be one of the most enjoyable experiences. It is however an important one. A leaking or flooded toilet can cause extensive damage to your property and belongings if not dealt with in a timely and professional matter. Give us a call 778.227.1119 or email us at info@djplumbing.ca and let us do the dirty work for you!